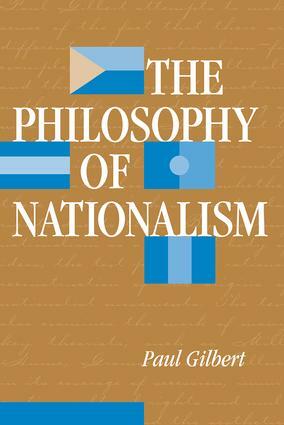 In this, the first truly philosophical study of nationalism, Paul Gilbert attempts to make sense of the fact that there are different sorts of nationalism?for example, political and cultural?and that each concept functions with a different understanding of what a nation is. He sets out to explore whether there are any common ideas about what constitutes nationhood and whether these ?nations? have particular rights due to them. By treating nationalism as a coherent body of ideas, the text permits a rational reconstruction of the origins of nationalist movements. The book also examines the work of many key theorists, including Mill, Hume, Gramsci, and Gellner, in its coverage of secession, immigration, cultural rights and multiculturalism, and the aesthetics of nationalism.